Here we are at part 2 of your January SIMPLIFY MY LIFE challenge. Part 1 saw us cleaning and decluttering our kitchen, from top to bottom. Hopefully you have made a good start on this already or at least have your declutter underway. If you are only new to the Simplify My Life challenge, you have plenty of time to catch up. 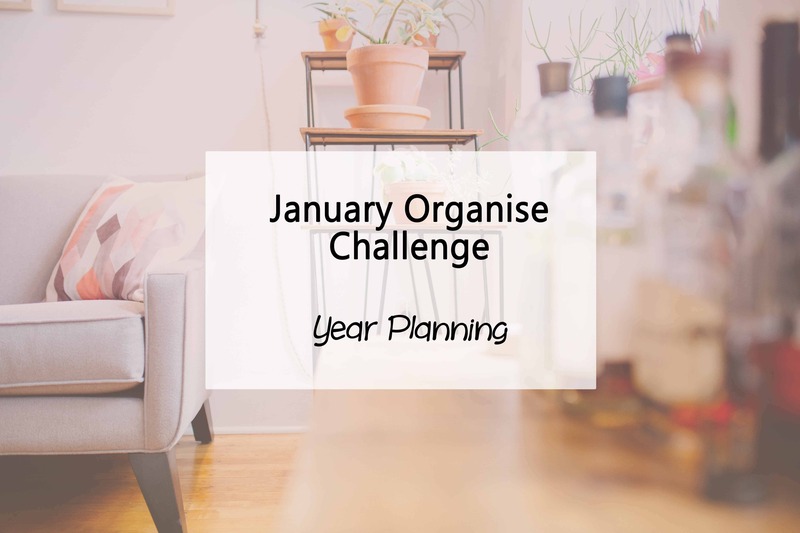 Part 2 for January is our Organise challenge, which is all about preparing for the year ahead. 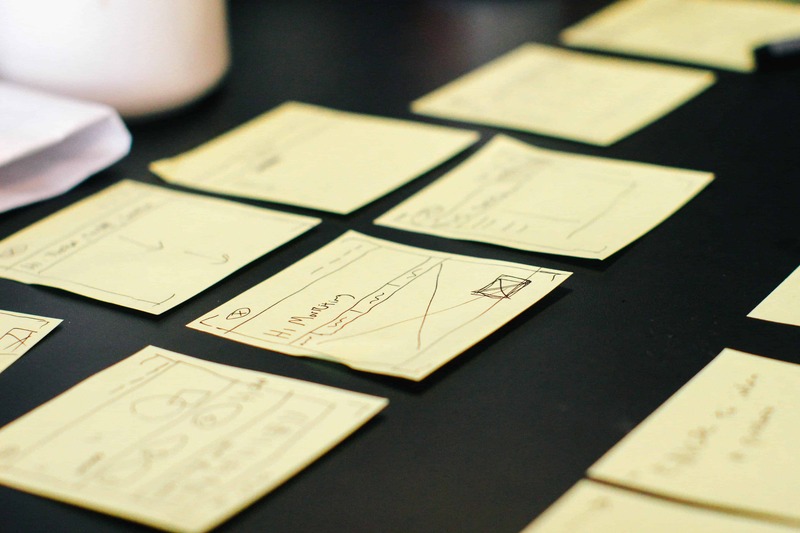 For the first organise challenge, your task is to work out all the events, special occasions and other relevant agenda items and get them mapped out in a planner or system that suits you. While our year will start filling up at rapid pace soon no doubt, getting a head start now helps us feel prepared and organised for what is to come. For me that is about having things such as birthdays, anniversaries, milestones and events all mapped out in a calendar or planner so I know what is heading my way. It is up to you what planner format suits your lifestyle best. For many of us, computer or phone calendars are a fabulous on the go way of keeping track, with many allowing us to sync between devices. I will admit for appointments, I do use my phone calendar so it is linked to my PC one and I get alerts to remind me a day before (very important with baby brain like I have right now). There are also some fabulous phone Apps to help us organise our time. However, a paper version is a highly recommended back up or primary organisation option because as most of us have experienced, digital devices can fail. Nothing worse than losing all your saved data. So perhaps a traditional style paper calendar or planner is just what you need to keep track of the what’s happening in your life. And since 2015 is already here, you will be able to pick one up pretty cheap. I am currently working on a complete planner to help myself and others to get themselves organised, but it is still a work in progress so to help you out, I have created a basic birthday calendar as well as a month at a glance which can be printed monthly or yearly in advance so you can keep track of all those upcoming events and special occasions. You can download each of these free printables below. Simply add in the dates for your monthly calendars and away you go. Now if you are anything like me, with a big family who mostly seem to have birthday’s at the start of the year, my calendars are already pretty full. 3 birthday’s and a family anniversary in January, a holiday and 3 birthday’s in February (mine included), and another 3 birthday’s in March… just within the immediate family. Add to that other events, like my current busy antenatal medical appointment schedule and there’s already plenty to keep up with and prepare for! As an extra organisation tool, I also created a calendar whiteboard in my office to track 3 months at a time, mostly to keep on top of uni assignments, but while I take a step back from that soon, it will be useful for general life organisation. Erasable and HUGE, so there is no missing it! Don’t forget to pop back next Tuesday for Simplify My Life challenge part 3 for January – SIMPLIFY… which is all about evaluating our time and where it goes. Be sure to sign up for my newsletter and follow on social media so you don’t miss a challenge. Together we will have 2015 in our hands! What are you go to methods for keeping track of events and appointments? Do you use a planner, your phone or something else? I use my calendar and diary. But my family calendar is what seems to work best for everyone. The diary is just personal. Sounds like a good method you have already! I am usually pretty darn good at keeping track of everything in my brain but I occasionally miss an event or double book – it’s a pain! I got myself a 2015 diry and so fair so good. It’s being used – now to see if I can keep it up! Any tips? I love this! Simplifying & planning is one of my main goals this year and I have started already to do same thing mapping out. Thank you for sharing & printables! Found you today via Totally Terrific Tuesday. Yeah, without the reminder beep, I’m stuffed these days lol nothing beats good old paper reminders too though. Thanks Vanya. It’s my second. I got a lot done with the first but my full time job got in the way of doing all I plan on this year lol actually I was reading over my first preg journal tonight & in 2 nights after work I assembled my cot & dresser for the nursery…alone. Gotta love nesting! I’ve ordered a journal hat I can wait to arrive. Haven’t used a paper journal in years! Very excited. These are some great tips. I love the birthday calendar. Although we have a few birthdays between October-February, the bulk of our birthdays celebrations happen May through August. thanks for sharing at the #HomeMattersParty 🙂 Hope to see you again next week. I plan events for a living 😉 I’ve gone this down to a science! That’s one thing I am striving to be this year, is more organised! Thanks for linking up! I do have the calendar in my phone and it is copied on my computer. That works well I think. I love your idea with the calendar whiteboard – will sure make one of them. Hi Holly. I use a calendar as well as my diary and to make sure that I don’t forget events or birthdays, I even enter them in my Outlook Express. Thank you for the birthday calendar. if there is one thing that is sacrilege for me, it is forgetting to wish friends on their birthdays. Love your ‘simplify my life’ challenge you have started. I look forward to following along and getting more tips and tricks to help with this. I find the start of the year is the perfect time to regroup and start a fresh. Hi Holly, excited to find your blog through Delia’s challenge. I will be signing up for your newsletter too. I currently use a Bullet Journal (which is a really awesome method to keep track of daily tasks and project groups) and my google calendar. I have different calendar types and it syncs between me and my hubby. I can’t imagine how things will get more crazy when the kids are school age. Thanks for the reminder! I’ve been busy getting the house organised and have forgotten about this area! Organising is a huge task! Good on you for getting into it though! I have a family planner with each family member listed with their monthly commitments etc all listed. Ths is hung in a central location so that everyone can see what is going on at all times. With four children this is essential to keep track of appointments and family commitments, it also helps to communicate in case some one is not sure where I am…usually in the car playing taxi. This is a fabulous idea. Love it. And yep, mums taxi would be busy with 4 kids. I don’t look forward to those days ahead lol thanks for sharing your great method Jennifer. I’m using my phone but I noticed sometimes I forget to set the alarm notification for it. Oops! I think I need a backup method as well. Thanks for the tips, Holly! I use my phone to remind me. I even write it down, so forgetful. I’m kind of crazy. I use a planner, my iPhone, wall calendar AND a chalkboard wall to keep track of everything. It’s like I need it everywhere so I FOR SURE remember what is going on. Thanks for linking up to Totally Terrific Tuesday last week. Our party is going LIVE tonight at 9pm CST. Hope you see you again! My approach is a bit that way this year. Life gets hectic. Lots of visual reminders are great. And imagine how organised your time is! Just discovered your blog through twitter, I love this post. I have been thinking about doing th pepper option, as although I am a blogger I am just finding that the digital calendars are not my thing. I tend to leave everything to the last minute and feel disorganised quite a bit. With 3 kids I think a visual reminder will be better, anyway going to check out your printable now!